Offers for The Ritz-Carlton Rewards® Credit Card and Hilton Honors American Express Aspire are not available through this site. All information has been independently collected by AwardWallet and has not been reviewed or provided by the card issuer. Please see our card marketplace for available offers. Lounge access can revolutionize the way you travel. Layovers are inevitable if traveling to all but the biggest destinations, and having somewhere to stretch out, grab a bite to eat, recharge your electronics, and enjoy a moment of peace and quiet can make a huge difference to your travel experience. With access to a good lounge, it doesn’t matter which cabin you’re flying; you’ll get the chance to rest up and enjoy first-class facilities before flying. In recent years, lounge access has been added to many premium travel-focused credit cards. The access varies by card. The Platinum Card® from American Express provides access to Centurion Lounges, Delta Sky Club, Airspace, select Lufthansa Lounges, and Priority Pass lounges. Co-brand cards like the Citi® / AAdvantage® Executive World Elite™ MasterCard® only provide access to the airline's lounge, in this case, Admirals Club. Then there cards like the Citi Prestige® Card and Chase Sapphire Reserve®, which offer access to just the Priority Pass lounge network. By far the most common lounge access grants entry to the Priority Pass network. Numbering over 1,000 member lounges spread all over the globe, Priority Pass is the largest independently operated lounge network in the world. But, did you know that Priority Pass doesn’t just offer lounge access? That’s right. Priority Pass has been quietly adding new features to its existing lounge network and now counts a dozen or so restaurants in different locations, a spa in London, and Minute Suites in three airports in the US amongst other benefits you may not know exist. The table below lists our favorite credit cards with complimentary Priority Pass memberships and the guest policies for each. 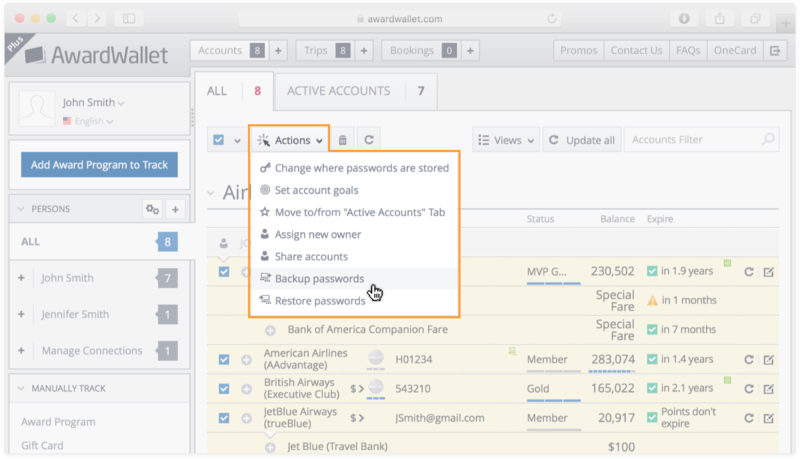 For more information, we dig into more detail in our introduction to Priority Pass. One of the coolest features of Priority Pass membership is the addition of restaurants and to-go joints outside of airport lounges. Places where you can grab food and drink to the value of about $28 per person, depending on the country and specific guest privileges of your card. 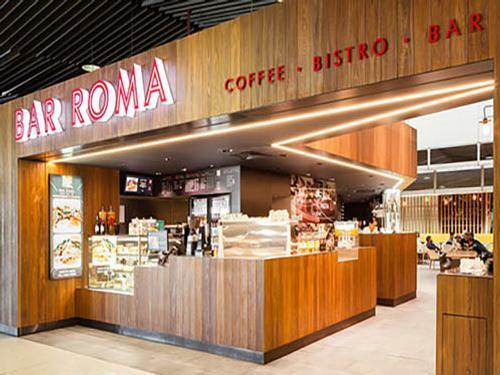 These locations are outside the lounge network but still within the airports themselves providing dining (and drinking) options without having to enter a lounge. Bonus tip: If you're in an airport with multiple locations, you can visit each of them! Below are the current locations that allow you to charge food and drink directly to your Priority Pass membership. JFK - New York, US • Bobby Van's Steakhouse - Terminal Eight • Receive US$28 off the bill per Guest. Limit 1 guest. OOL - Gold Coast Coolangatta, AUS • Velocity Expresso & Bar - Airside - Domestic Departure Area, after Security, near Gate 3. • Bar Bleriot & Lounge - Airside - after Passport Control • Receive US$27 off the bill per Guest. • Bar Bleriot & Lounge - Landside • Receive US$27 off the bill per Guest. How Does the Dining Credit Work at Restaurants? Simply choose food and drinks to the value allowed at that location; the exact dollar amount will vary slightly by locale. You can certainly spend more, but you are responsible for paying the difference. When it’s time to pay, have the cashier swipe your Priority Pass card rather than your credit card. Guests are eligible too, as long as your Priority Pass membership offers guesting privileges, i.e., if you have the Sapphire Reserve you could technically supply unlimited people with $28 credits towards food and drink. If you have the Prestige Card, you can bring two guests (or your immediate family) as this is the guest policy for that particular membership. Restaurants aren’t the only perk added to the Priority Pass network. 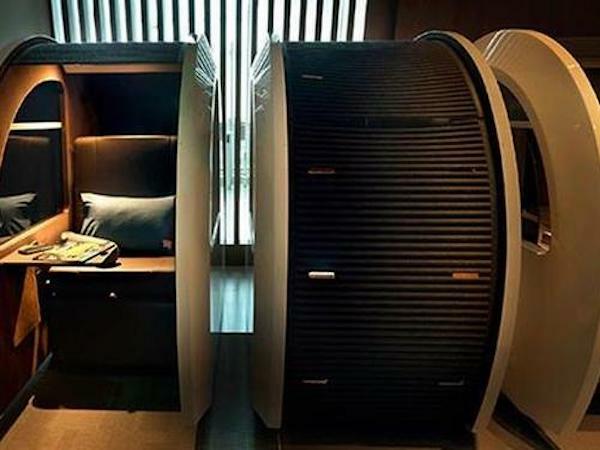 When transiting through Dubai, you can now take advantage of the Sleep ’N Fly Pods in Terminal 3 (Concourse A). The pods are equipped with a flatbed, fold away table, chargers for various electronics, and storage for bags. You can only stay between two and three hours, but any respite from a busy international terminal is going to help. Priority Pass has also added ‘Minute Suites’ facilities in Atlanta, Philadelphia, and Dallas. You’ll get an hour free and then a reduced rate of $28 per hour after that. The Minute Suites are great if you need quiet to concentrate on work or some privacy. There is room for two to sleep and Minute Suites supplies bedding, a workstation, and a sound masking system to neutralize noise. If you happen to have multiple Priority Pass memberships, you could try to piggyback your stay across them as well. In addition to the seven lounges already available at London Heathrow, Priority Pass members can access the Aspire Lounge & Spa in Terminal 5. While the lounge itself isn’t uber luxurious, you gain access to the Bliss Spa without forking over the required £40 to get in the door. You need to pay out-of-pocket for specific pre-flight spa treatments, but the Rest Pod sleeping area up the far end of the lounge is included in the admission fee (need to book the pods at reception upon entering). Note: The IHG discount and Avis rental car benefits are not available to Priority Pass Select members (all complimentary Priority Pass memberships offered with credit cards are ‘Select' memberships). They only apply to paid memberships. Other features of Priority Pass that appear relatively unknown include receiving discounts of up to 30% at IHG Hotels by logging in through the Priority Pass membership portal, and members can join the AVIS Preferred Plus program and get priority service, upgrades, add a free additional driver, and receive a voucher for a free weekend in Europe after your third rental. These benefits aren't groundbreaking by any means, but when you take them all into account, they add another layer of value to a Priority Pass membership that most members reading this post will have received as a complimentary credit card perk. Lounge access without having to fly in premium cabins is one of the best evolutions in credit card benefits over the past decade; it truly changes the way you travel and makes the layover/pre-flight experience one to enjoy rather than endure. The ability to charge food and drinks to your Priority Pass card at select cafes, restaurants, and bars is icing on the cake and a benefit we hope to see them expand. Awesome breakdown of all the additional benefits. Very useful! My wife and I had lunch at the Timberline Steaks and Grille last Saturday. The salmon was great. Our bill was less than $56 so we were only responsible for the tip. cool perks… I had no clue!! Thanks! Time for me to sign up and get one then. A card with the priority pass. The last column in the chart above is “Authorized User Fee” – is this an additional fee required to use the lounge access benefit? Is it annual? If so, based on calendar year or from date of purchase? The Authorized User Fee is the fee required to add an Authorized User on your credit card account. Authorized Users, in many cases, receive the same benefits as the primary cardmember — which is the case with Priority Pass across these cards. It is charged on an annual basis from when the users are added (prorated to match up with your annual fee date). In the chart you included, what does “Virtual Priority Pass Access” refer to? I have the Chase Sapphire Reserve card and I am unfamiliar with this term and how it affects my membership to Priority Pass. mak, it is being able to use Priority Pass through your smartphone — I’ve renamed the column to “Digital Priority Pass Card”. Some memberships support a digital card, others don’t. Purely for convenience-sake, if you don’t have your card but rather your smartphone, you can save the card as a pass on it. Went through Heathrow twice last week without my PP physical or digital card. Visited Aspire and (?) another lounge and they simply required my PP number and expiration date for entry. Kudos to Priority Pass for continuing to innovate for the better! Thanks for the tips. The ability to eat $28 worth of food at restaurants is pretty sweet. Now we just have to get them to expand it to more locations. It doesn’t appear as if any portal is needed for IHG. Thanks, Michael! This looks solely focused in Europe — I can’t find it on the US site, but still a great offer for trips to Europe. I’ll get the post updated and thank you! Thanks for the link! I had no idea IHG was offering anything of that kind. The yearly fee vs. value is there, now that you have broken down the many “extras” I didn’t see at first glance. Once again, great post with so much info that it had me pulling out my “folder” again to note some things! The Chase card above is the only one that you collect the Ultimate Rewards with, correct? I have the Sapphire and Ink for $95 a year, if I exchanged one of mine for the Sapphire Reserve would the UR accounts merge? you’ve asked 2 question. The answer to #1 is no. You earn Ultimate Rewards on all of the cards listed in this post: https://awardwallet.com/blog/do-chase-points-expire/. That said, the points associated with the two Freedom and Ink Cash cards cannot be transfered to airline/hotel programs. 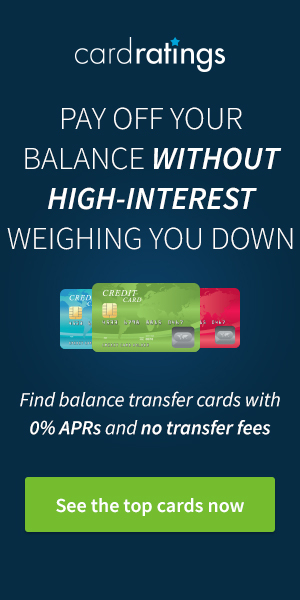 If you personally have the Sapphire Preferred/Reserve or Ink Preferred card as well, you can move the points between cards fluidly (at no cost) and then transfer them to airlines/hotels. What is the reason that these extra perks are not more widely publicized? most people don’t care about anything other than the surface level/obvious stuff? Priority pass had to do something as many of the lounges have been declining entrance due to being too busy, which seems to be the case for many locations Most of the days. Definitely interesting, hopefully the benefits expand in the near future. Unfortunately the trend I’ve noticed over the past year with PP membership is that US lounges are disappearing from the program (at least in Chicago and New York). Since Denver is my home, the recent addition there is welcome. I’m thrilled to see Priority Pass innovate with these types of partnerships. Just make sure to bring some cash to tip! Thanks, some additions to the Benefits of the priority pass included here we were not aware of. Sadly, yes people do get turned away from certain lounges if it’s already busy. Yup, we definitely would not object to that. Hi, does anyone know why Priority Pass does not have any lounge access in Norway or Iceland? I have been trying to find an answer for a while. Great question. I’d guess it is all about supply/demand. No doubt the lounges are demanding more money than Priority Pass is willing to supply! Some great benefits (some I was totally unaware of), for a program that’s offered for free just for holding various credit cards. Looking forward to trying the Sydney options next time i am passing through. 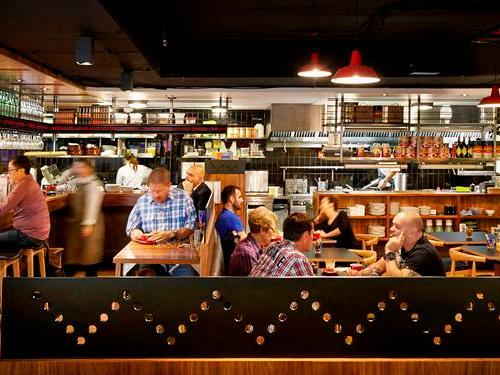 If MoVida is anything like its Melbourne counterpart it will be well worth the while! Wishing there were more restaurants participating. Thanks for sharing these perks! I’ve used the minute suites priority pass benefit on several occasions and definitely appreciate an hour to get out of the airport madness before my flight. I’ll be flying to Denver for a conference next week and I look forward to trying the restaurant that is now a benefit. There’s no doubt that for me, the priority pass membership alone makes up for the annual fee of my Amex Platinum! Didn’t know about the extra perks. Thanks for the info. By the way, if the lounges aren’t in the terminal you usually fly from, do you think it is still worth it (with the exception of a free membership through an alternate source)? Honestly, it really depends on the airport. If you have to leave security and re-clear, I likely wouldn’t do it unless I had a REALLY long connection. These are some great perks. Wish they were more generally available. I noticed that the lounge list seems to be in flux, soI lost access to my favorite lounge in MSP. I hope this deal eventually allows enhanced benefits at more US airports. Very informative article. 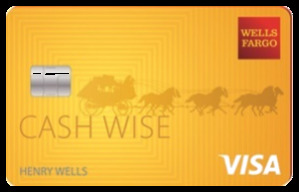 What about any benefits for the Priority pass included with the Hilton Surpass card? Simply Put, I throw away my Priority Pass card associated with my Hilton Surpass. It provides complimentary access to no lounges/spas/restaurants. Im still thinking about getting the Amex Platinum with the Passes – you made it look worth the Money…So, yes, i might take it! Does the Seattle airport have Priority Pass locations? Indianapolis? up to 30% IHG? Is that right? Priority pass CS told me that benefit is only available to “direct members”, not as a credit card linked member. We’re going to follow up on this with the folks we spoke with and get this article updated. Nice to see some focus on Europe for once! So the new trend of Priority Pass is to give 28 USD for eating at a restaurant or brasserie. This is a positive thing because it’s a supplementary bonus in addition to the entrance to the 1000 airport lounges. Since I travel with my wife, I am unable to use my priority pass because only I get free access. How do you have your priority pass membership? I’m afraid that’s true, unless you pay, of course. I have been in that position too. I guess you need to weigh up the total cost and decide if the lounge visit for 2 of you is worth the cost you pay for one. That will depend on the quality and the facilities of the lounge and the length of stay that you have. If you travel regularly together and aren’t part of a frequent flyer program or another method that allows you lounge entry then it could be worth both being signed up. Everyone’s appreciation of value will be different, of course. I’ve been thinking my next card will be the Amex Platinum, and these perks I didn’t know about that go along with the Priority Pass membership are certainly sweetening the deal! PP seems to be improving. It is a great success this initiative to include restaurants in the list of Priority Pass benefits. The Ink Preferred does not provide a priority pass membership/lounge access. Re: the Avis Preferred Plus, as you alluded to… good luck. Just lost 45 minutes. Sapphire Reserve / Priority Pass user. 1) Called Avis, they didn’t know of the program. 2) Called Priority Pass, they say SR members can not sign into PP on-line and all information must come from the Credit Card Co. Our PP# are not in the Priority Pass database 3) Called Chase, didn’t know of upgrade to Avis Plus, said to call Priority Pass. Gave me a discount code. 4) Called Avis, they said I would get Plus status when I earned it, despite my explaining the possible upgrade benefit. Oh, well. btw, Chase was the only State side English speaker in the bunch. Kevin — we’re right there with you trying to work through all the details on it. The folks at PP don’t seem to be especially helpful but we’re not giving up yet. I also contacted Avis on this and was eventually sent to a membership supervisor. They told to email profile.update@avisbudget.com with my current Avis membership number and Priority Pass number. I sent that about a month ago and have yet to hear anything back. Ill send another email and see if that gets a response and let you know. My partner and I both have PPs through credit cards. As we are based in Sydney we plan, towards the end of the year, on checking if we have any passes left that we are unlikely to use and, if so, off we will go to SYD for a feed. No flying necessary and no passes wasted. Nice. It’s great to see restaurants added to Priority Pass. Hopefully this expands to more airports. I had no idea about the $28 coverage at participating restaurants. Such a great perk. neat. thanks. I’d also like to see more of this type of offer. Hopefully this will expand to more airports, too. Great list! I do think these passes are awesome, but it usually is only worth it if you have a long layover. If not, I always feel reluctant to use my passes. The one time I did I think the wifi was down, which made for a sad time. Woah, time to fly through Sydney! Drinks on me! As for $28 credit at a restaurant for guests (I have chase sapphire reserve PP), is it $28 each person? If so, using one pp card, $28 x # people (member + guests) credit available? the IHG is truely a ‘hidden’ benefit (don’t think it exists). I have Priority Pass Select. Does it qualify for all the perks you mentioned in the article? Thx. In Japan, priority pass worth $400 is available with Rakuten Gold card for an annual fee of less than $100 (10800 yen to be exact). I wish they add some restaurant in Tokyo soon. I didn’t know about the restaurants, so that’s cool! Thank you for this writeup! I have the priority pass and am using it for the first time for my trip to London. It points out a few things that I haven’t thought of, so thank you! Sounds like some good benefits for people that travel a lot.